The reason for establishing First Class Trophy was to offer trophy mounts of a high quality at prices that people could only dream of. We have illustrated this quality in our portfolio books. With a rapid increase in the demand for our quality mounts, we can honestly say that our concept is highly regarded by hunters all over the world. We have published 2 books. One with African trophies and one with European, North American, South American and Asian trophies. 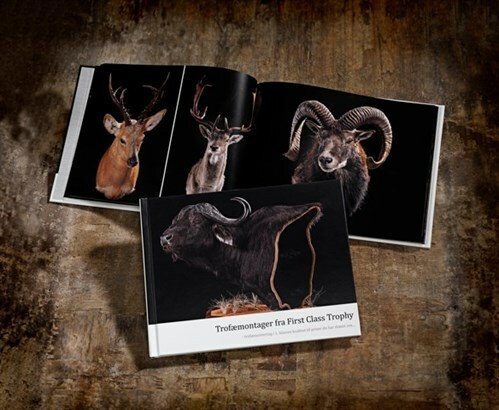 Each book has more than 50 pages showing photos of some of the trophy mounts that we have had the pleasure of creating for our customers.